This is a custom sheep horn hunter. It features a 154CM blade with a file-worked stainless bolster. 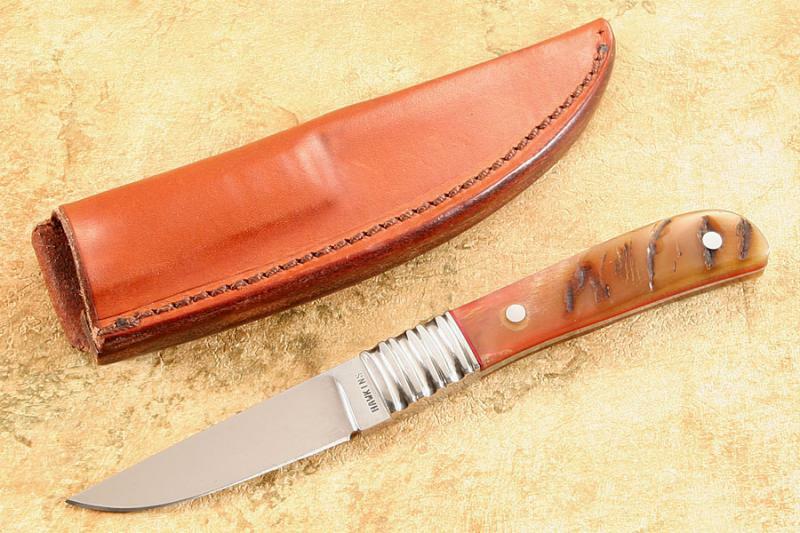 It includes a custom leather sheath.